I’ve become quite obsessed with the idea of learner agency lately. It seems to be cropping up all over the place in big and small ways. I have been actively following an agency experiment in a PYP school in Ho Chi Minh called Studio 5 (documented by their PYP coordinator, Taryn BondClegg in her blog, ‘Making Good Humans‘). Her recent post, ‘Student Planned UOIs‘ is absolutely fascinating and incredibly inspiring. I’ve been following their journey to be 100% authentic in creating an environment for learner agency. The new PYP guidelines have agency right in the centre of everything. The Studio 5 project have been putting this to the test since the beginning of the school year and now the students are at the point where they are writing their own units of inquiry. So, that means they have 85 units running simultaneously with everyone who works with grade 5 available as mentors and coaches. Incredible. I’m so happy that someone is out there taking this risk for all of us so that we can benefit from their trial and error as well as from their successes. So, what is learner agency to you? Fill in the blank: I believe that learners exhibit agency for about ………. % of the school day. What do you believe about agency? What are the challenges? How have you overcome them? Which still remain and why? I think the best concrete example I’ve seen is what is happening in the Studio 5 project. The best part is that they are documenting every step and providing access to the templates, organisers and evidence from students. It makes me want to start this project at my school next year. What questions does this provoke for you? How can we increase student agency across the school? All of the ideas above have started to help me shape my own beliefs about agency. I’m keen to have some conversations about what this can look like realistically at my school and raising awareness of the importance of agency in real learning. Playing at “Agency”: Will Richardson–makes it clear that we don’t have a choice–agency is the only way we create the kind of schools that our students need now.–but real agency. Student Agency Goal Setting: A Pathway to Personalised Agency: Great article and very good ideas about documenting student goals to increase accountability and reflection. Barbara Brey: A continuum of ownership–From Compliance to Autonomy: love this infographic. Great reminders and targets for teachers to recognise the difference and pathway towards agency behaviours. 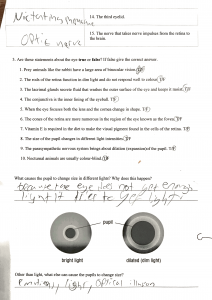 Empowered Learners: What a Student’s Project Taught Me About Education: nice insight/reflection from a teacher about student agency and what it looked like when she put it into action. So, let’s start a conversation! What is it that makes learning really catch fire and take hold? I recently read an article titled ‘Incendiary Learning’ by Chad Walsh from Time and Space Education. They propose that some learning is like a flame–it sparks and burns but eventually the embers die out and the student moves on. Other ‘incendiary’ learning stays with us and drives us to learn more. A level of engagement and autonomy is achieved that takes hold. It left me wondering how often am I providing the sparks to provoke and ignite this kind of deep, passionate learning? 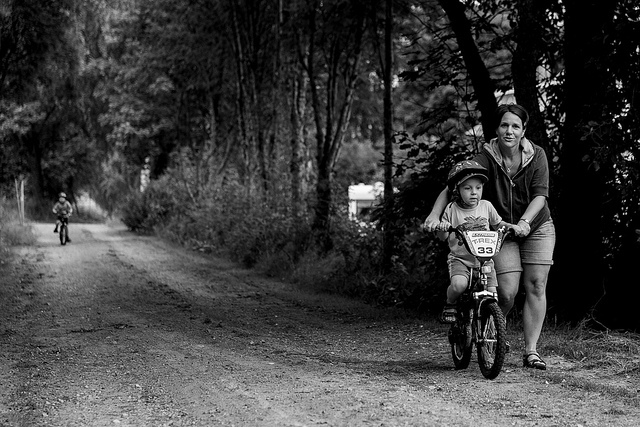 I think it’s relatively easy to get a few kids engaged, but how can I make that more widely accessible? What are some of the necessary ingredients to create that fire? 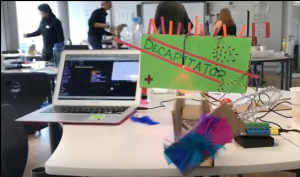 I attended the Makeology Maker Summit at Zurich International School last weekend. The vibe and atmosphere of the conference certainly set the stage for sparks to fly. Making itself is all about finding your passion, digging in and working through the challenges to create something. On the second day I attended a workshop with Gary Stager, one of the pioneers of the maker movement in education. He introduced us to the Hummingbird Robotics Kit and set our groups the challenge to create one hole of an 18 hole put-put golf course. He gave us limited directions and almost no training on the Hummingbird board. It was up to us. For two hours every group in the room worked on their project. 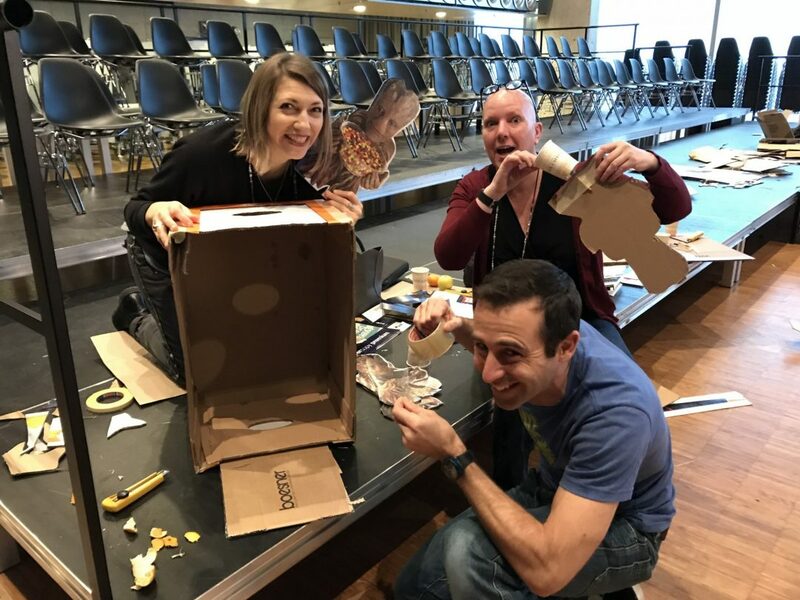 We talked, laughed, figured things out, advised, borrowed ideas from other groups, jumped in with our expertise–whether it be sequin gluing or programming motors–and were completely engaged. At the end each group had a working golf hole–each completely different to the others and unique in every way. We proudly laid our golf holes out in the large hallway to create our course and everyone grabbed a club and played, admiring each group’s creativity as we went. A perfect learning experience and a key ingredient to incendiary learning. Since last weekend, I’ve been caught up in the feeling this experience created. I think we as educators can forget what it’s like to be students. It’s good to have these kind of experiences where we get to be learners again–especially in a rich and dynamic learning environment. It’s nice to take off the teacher hat of responsibility and be able to get in and just make stuff! This is what I love about the maker movement and why it’s so important to foster this in our schools, classrooms and students. This shouldn’t be separate from the curriculum but a huge part of it. Incendiary learning isn’t going to come from worksheets and sitting in rows–it comes from experiences that are rich, meaningful and personal. Making and creating are one way to bring these ideas into the classroom. 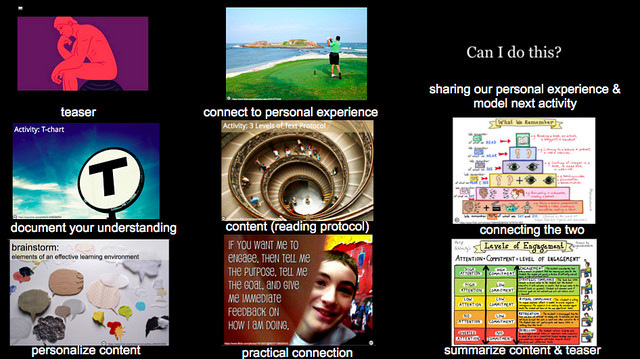 So what are some of the key components to ignite learning? 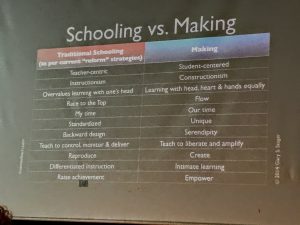 From Gary Stager’s keynote on the power of making in today’s classrooms: Makeology Maker Summit. I’m working hard to incorporate these ideas into the planning sessions I have with teachers and to find ways to infuse it into our school learning environment. Find the opportunities and set the scene for sparks to fly–sometimes it’s just a small change, a question, a prompt that can get everything started. One lesson. How will you light a spark for your learners this week? Who do you gravitate to when you need positive energy? 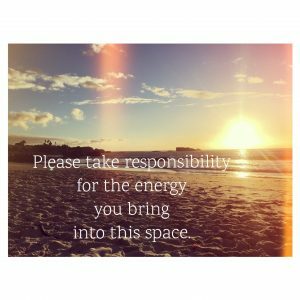 Are you a source of positive energy for others? 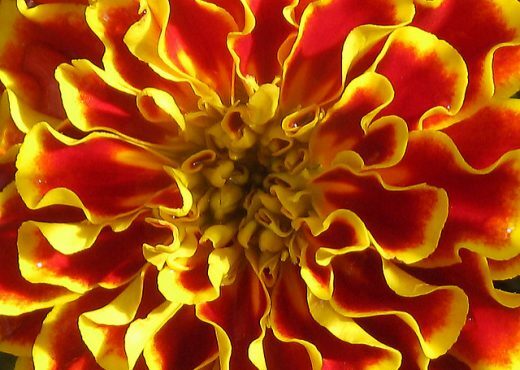 Jennifer Gonzalez writes an excellent article (“Find Your Marigold”) in which she presents the analogy of marigolds warding off pests in the garden to teachers finding others with positive energy for us to bask and grow in. The article is written for new teachers, but I think the idea is a wonderful reminder for all of us. Teaching is one of the hardest jobs out there. It requires patience, energy, enthusiasm, time, a belief that our students are capable and a desire to really guide them to learn. It’s no wonder we’re tired at the end of a day and it’s also easy to understand why many teachers burn out. This article really made me think. Am I a marigold for someone? I don’t think I’m a marigold all the time and certainly not for everyone. This was a good reminder that what we put out we get back–good old karma. The energy we put out is the energy we attract. In my role as an EdTech coach, I encounter plenty of ‘walnut trees’ in all shapes and sizes. Whilst it’s easy to say, ‘surround yourself with positive people’, sometimes it’s not our choice to make. A big part of my whole job is convincing the unwilling to try something new, make a change, see the possibilities. I can definitely see the effect that the toxicity of the walnut trees have on my spirit and enthusiasm. It’s at those points when I need to find my own marigolds–go into a kindergarten class and see the excitement of young learners or spend time in my maker space with the buzz of inquisitive kiddos discovering, planning and thinking. It is also why I make sure I have time to be part of groups like Tricia’s blogging challenge, attend Learning2 conferences, reading books and articles, listening to podcasts, working with willing colleagues to pull our energy together and plan meaningful learning experiences for students. All these things are essential to feed my spirit so that I have a reserve tank when the ‘walnut trees’ make me want to scream. I’m happy to have read this today. It’s given me pause and reminded me that I need to heed the advice that I always give my two sons, ‘you get what you give’. 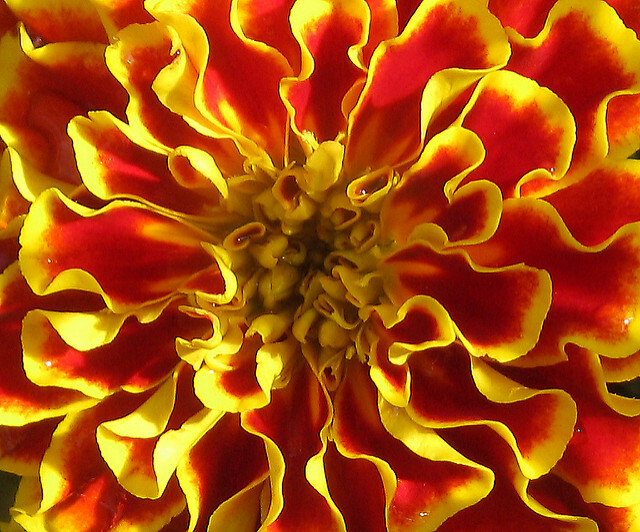 Who or what are your marigolds and how are you a marigold for your colleagues? How do you deal with the ‘walnut trees’? Do we need teachers in the future? Click to watch the video on the BBC site. I’m always happy when I open my inbox and see the weekly email from Modern Learners (Will Richardson’s newsletter). It challenges my thinking and is an excellent one-stop-shop for new ideas in education. This morning the newsletter didn’t disappoint. It started with a video from BBC about the Altschool. A school with locations in California and New York run by a former Google exec and partially funded by people like Mark Zuckerberg. The aim of the school is to completely personalise learning for each kid. There are as many engineers as teachers at the school. 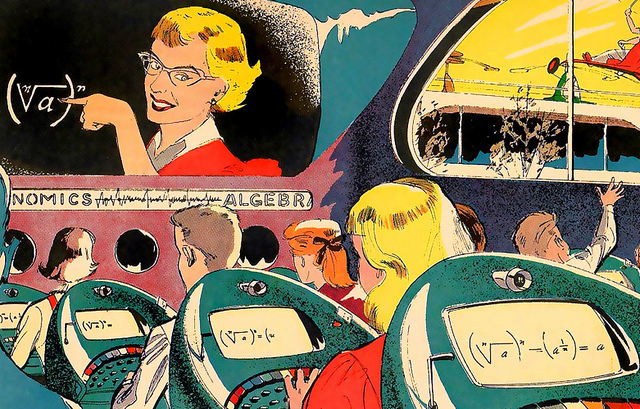 Algorithms are learning along with the kids and helping to redefine their ‘curriculum’ all the time. Does it work? I don’t know, but I’m curious. Is it the way of the future? Is it sustainable? The founder is hoping to offer their system to every school one day. Would schools want it? Would ‘mass production’ wreck it? Is it only for the kids who are really motivated anyway? Lots of questions and certainly good questions for us to be asking as educators as we navigate the way ahead with a goal to radically change the way eduction works. The question Mr. Richardson asks after watching this video is ‘Are we too focused on “education” rather than developing learners?” I would say yes. I’m happy that schools like the AltSchool exist to start pushing boundaries and seeing what works. So, What Would Will Do (WWWD) at my school? Exactly what he talks about in the video. Establish a clear vision for learning. Ensure this vision is clearly communicated. Then every teacher can work towards educational goals that lead them towards this goal. It should not only impact teaching but also how professional development money is spent and which purchases are made. The vision has to become real, alive, embedded and embodied by everyone. Some may be no where near this vision, but the goal they set will get them one step closer. Some may already be there and their goals too help to bring everyone forward. Celebrating those successes and establishing a support system will help catch the nay sayers and keep forward momentum. We have a much easier task in many ways as international schools not forever bound to national curriculums and state inspections. We have a bit more freedom to create the school we believe will be the best for our learners. So, what does the future of teaching look like? Where are you on the continuum of readiness? Does your school have a clearly defined and articulated vision? How are teachers taking that on and is there evidence in their classrooms? In his TED talk Will mentions a few schools he’s seen that really are ‘future schools’. 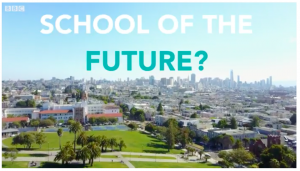 Have you seen or worked at any schools you would label as successful future schools? My last question is one that I hear all too often from DP teachers: What about the DP exams? How will students pass those tests if we don’t jam content into them? I’m curious to find out! (from Kim Cofino’s post Designing Learning Experiences.) Learning by doing. We learn when we teach someone else how to do it. Learning is an active not a passive process. As an educator and an educational technology coach, I know these things but I also know how hard it is to design truly effective learning experiences! It takes time. It takes lots of thought and trial and error. I ask myself a lot of questions–how can I get teachers to connect with the ideas and come out with meaningful understanding? What tools to I have to make the learning active? To prompt discussion and record thoughts and ideas as well as reflections? I recently led a pre-conference session at the Learning2 Conference in Warsaw in April. The session was about making ePortfolios effective and meaningful. It was the first time that I had ever had that much time with a group. I usually have one hour maybe 90 minutes, so 4 hours seemed like a massive chunk of time! I wish I’d had Kim’s blog post to help me! I spent weeks and my late nights planning those 4 hours. Pondering over how not to simply bombard the participants with information, but to provide ways to connect and hopefully walk away with a better understanding of what portfolios could look like as well as practical tools to help them. I also found out that I would have teachers ranging from kindergarten to high school in the room so I would need to differentiate to make sure everyone got something out of their time. And, we all know, adult learners–especially teachers–don’t always make for the best students–I’m guilty in many a staff meeting! In the end, I felt like I was reasonably successful, but certainly had room for improvement. 🙂 After reading Kim’s post, I know where I’d like to focus my time in refining my workshop. 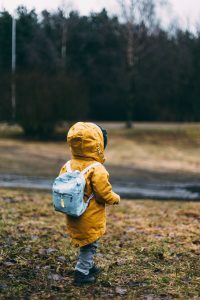 Kim’s post will serve as a very good guide and is an excellent reminder that teaching well is a craft that requires time, energy, practice, reflection–whether it be for young children, 16 year olds or adult learners. It makes me think of one of our prompts from last month, the article from George Couros, People are Always Your Best Reosource. In it he writes: “Valuing our people doesn’t mean we don’t push them; it actually means that we do. We help them become the best version of themselves, but we start with their strengths, not their weaknesses.” Do we all have the time to go through this essential process for designing our learning experiences? It also reminds me of how important it is to have a good teaching team who can support each other. Do all schools really embrace the idea that learning isn’t about content delivery? What do you feel are the conditions for creating really successful, powerful learning experiences? This is the title of George Couros’ blog post this week. As humans we all appreciate validation and as teachers we certainly want to know that what we do, think and contribute matters. The post is a reminder of the fact that the people who do the day-to-day in the classroom with students are the ones who are tasked with enacting the vision and mission of the school. Why is there often such a disconnect between what we say we do and what’s happening in classrooms? Future forward schools need both things to be connected in order to bring real change. As Couros’ post states, “No mission or vision statement will ever make your school better in isolation. People do that. Focus on people.” Maybe it’s the bubble I’m living in, but I feel like the theme of ‘schools need to change‘ is everywhere I look. If we believe this, then it will take whole school communities to put this into action and make it more than words on paper. So what does focusing on people look like? How do we take advantage of the resource that is our staff? In a recent Edutopia article titled “3-Step Method to increase Teacher Voice“, they note that when leaders step aside and facilitate teacher groups to gather input and generate solutions it helps teachers to connect to and be part of the big picture. This way solutions are not placed on the teachers but rather created in conjunction with teachers (and students too when possible!). Plus, offering leadership opportunities for teachers within the school empowers and validates them. Schools can learn from other social change initiatives in terms of getting community buy-in. Get feedback often. Give feedback as teachers. There are so many positive ways to provide feedback. Not all of us are the type to speak out in a staff meeting, but there are other ways to have voices heard. I’ve found that getting together an interested group of staff to work together on something and then presenting our work to the leadership team is an effective and non-threatening way to bring about change. In my role as a tech coordinator I’ve made sure to schedule regular meetings with the leadership team to provide feedback and work together to solve problems. One thing that we’ve introduced to our staff meetings is a regular ‘Celebrating Success’ time. It is completely voluntary. The aim is to offer time to share and/or show successes from the week. Sometimes a teacher will talk about a lesson that went really well. Sometimes they will share an idea or resource that they tried and how it worked. Sometimes it’s little things like a student who was struggling with something but is making progress. Sometimes it’s just a funny or inspiring student quote. All of this promotes community and values teachers as professionals. It also sparks interest amongst other teachers. Following a sharing session teachers are more likely to say, ‘Hey, can you show me how you did that?’ or to be more receptive when the idea comes up again. What if your school doesn’t have any of this in place? Start small. The ‘celebrating success’ time is an easy one to start with and I think it could be powerful for teachers to ask for it rather than it being ‘mandated’ by leadership. If your school environment isn’t ready to listen to teachers, try getting together as a small group to work on a problem and then present the solution or findings to your leadership. In my role I often look for the willing to try things out or test an idea with me. It gives us a bit of evidence then to go forward and talk about bigger changes. What have you done at your school to increase teacher voice? 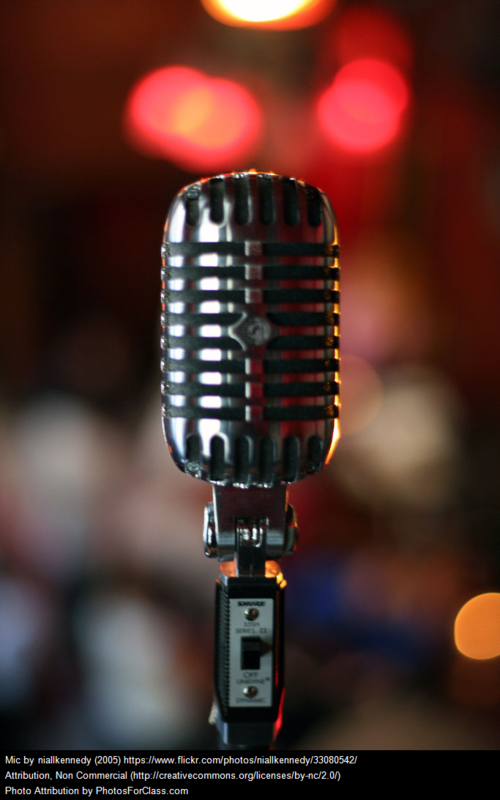 How has teacher voice impacted change at your school? This post is part of a teacher blogging project hosted by Tricia Friedman. Changing education is not new. This has been a recurrent theme since the beginning of formal education. The difference in recent years is the call for a revolution in education; not simply tweaking it but rather a complete overhaul. The call to change is coming from educators, industry, students, parents. We’re all familiar with the TED Talk from Sir Ken Robinson on Changing Education Paradigms. The question we’re left with is how? Instigating change is hard. Being a change maker can be a thankless and long process. 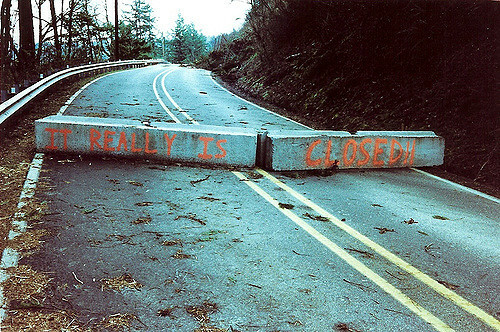 There are lots of walls to break down. It requires patience, persistence, empathy and resilience. So how do we do it? As learning technology coaches we are in the perfect position to affect change. So many of the changes being called for in education can’t happen without using technology as a tool for learning. The new literacies or the NOW literacies (as Sylvia Tolisano calls them) offer a way in for those in our role to coach, train, teach and model. Small shifts in teaching practice facilitated with a good learning technology coach can be the seeds for a movement. Transdisciplinary units in MYP, for instance, can hardly be successful without the thread of technology to connect them. It’s not about integrating technology anymore, it’s about good teaching practice. Technology is now embedded in teaching and learning. This morning I had the pleasure of participating in a Twitter chat for Learning2 hosted by Tricia Friedman and moderated by Sonya Terborg. (Click HERE to see the Storify of the L2 chat) Sonya will be leading an extended session at the upcoming Learning2 Conference in Warsaw. 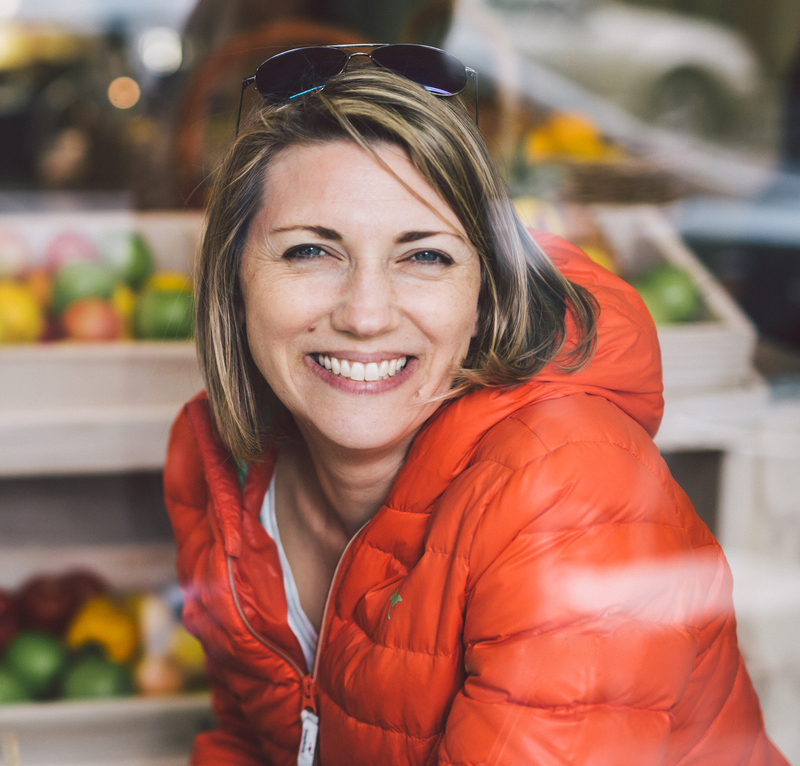 Sonya’s extended session is titled ‘Change Makers‘ and will focus on the ‘how’ part of the change. Our L2 chat today also included tips and resources for creating change so be sure to have a look at the Storify link. If you need some inspiration for change, Sonya wrote a short book called ‘Imagine a School‘ based on her work with Seth Godin and his manifesto entitled ‘Stop Stealing Dreams‘ on why education needs to change. If you’d like to get a kickstart on his manifesto you can watch Seth’s TED Talk as well. What have you found to be effective in instigating change in your school? Any resources or inspiration to share? What is one area where you see yourself affecting change? Start a conversation! You know the feeling when you don’t plan something? When you go into an activity with no preconceived notions about how it will be or whether you’ll enjoy it or not? 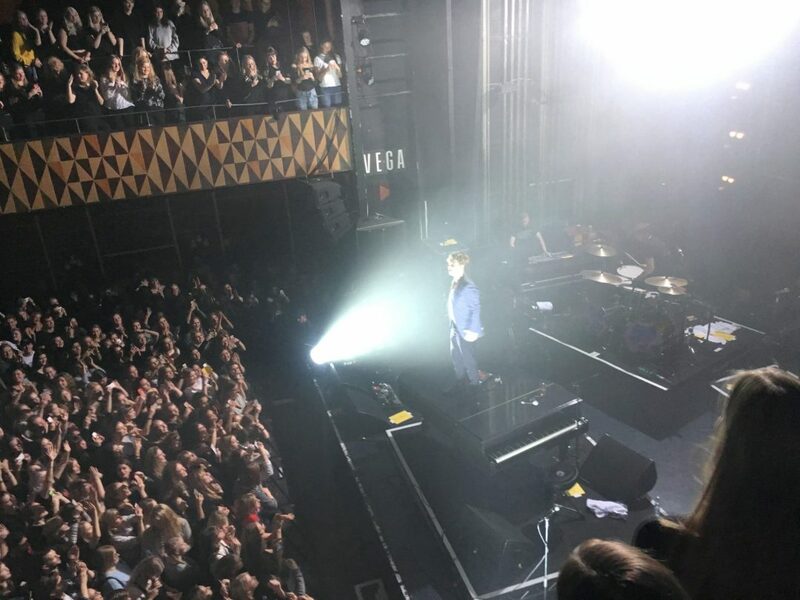 (Stick with it–this connects to teaching) My good friend, Sarah, and I bought tickets to a concert in Copenhagen. We knew we would be there for the ECIS conference and thought we’d plan a fun evening while we were there. Neither of us really knew the performer, Tom Odell. I’d heard one of his songs and liked it, but knew nothing of his other material or whether or not he was a good performer or not. So, we went. We waited outside in the rain for over an hour with loads of girls (and started to assume that he must be a bit of a heart throb given the percentage of women in the line!). The place looked a bit dodgy from the outside, certainly nothing special. After shuffling up to the front of the line and entering the doors to the concert hall, we were both blown away by what an amazing venue we were in. It was an old union meeting hall from 1956. It was set to be torn down but was saved and restored to become one of Europe’s most popular concert halls. It’s stunning inside, small, intimate and classy. Completely unexpected. Tom Odell’s performance matched the wonder of the hall and was equally unexpected. We went home that evening thrilled at the choice we’d made and so appreciative of taking a chance and being pleasantly surprised. In my role as a technology coach, I work with many different teams and groups of teachers. Some groups are always ready to try something new. Other groups are a bit more resistant to change things. It’s easy to go into a meeting with preconceived ideas about how people will react, what they will be willing to try, how frustrated I might be at the end. I’m convinced that this impacts not only the outcome of the meeting but my disposition and tactics throughout the meeting as well. Who do I want to be in this meeting? What evidence could I look for and listen for that would indicate that I was showing up as my best leader self? How do I want to feel during and after this meeting? Dropping those preconceived notions and ideas is really hard. But, mentally planning for and envisioning how you want the meeting to go and how you want to be during and after the meeting can help shake off those ideas and open yourself up to being pleasantly surprised. If you are a technology coach or leader of any team, I highly recommend Elena’s book. 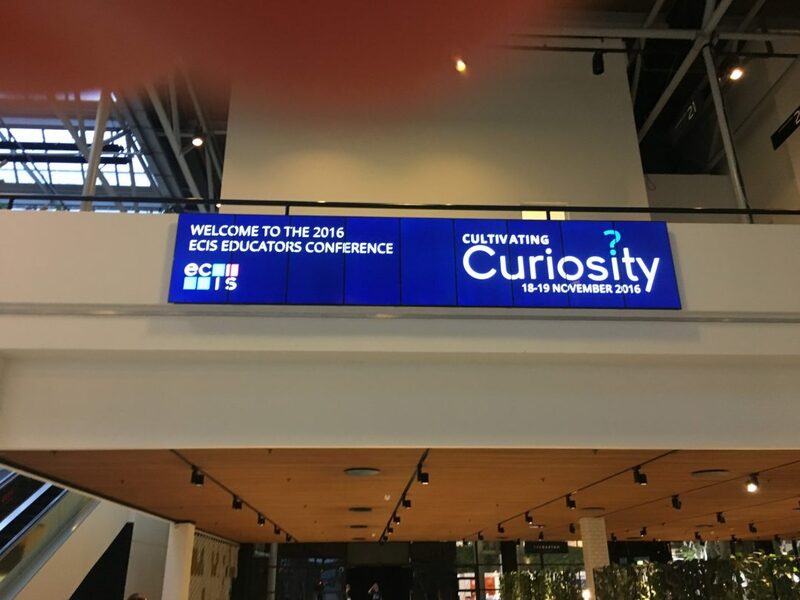 It’s been a month (and a bit) since the annual ECIS November conference in Copenhagen. The theme of the conference was ‘Cultivating Curiosity’. The two keynote speakers, Bill Rankin and Ewan McIntosh, both did a wonderful job of addressing this topic from their various perspectives. Ewan McIntosh of NoTosh focused on the need to rethink education. ‘How we learn is as important as what we learn. Sometimes it’s the haystack you need to find, not the needle.’ One of his questions that still sticks with me is ‘Are we teaching the kids who are going to do it anyway or are we teaching everyone else?’ The idea being that in every institution at every level, there are students who are going to do whatever is put in front of them–even if it’s boring, even if it’s not engaging–and do it well. If we gear our education to the students who will do it anyway, where does that leave everyone else? How do we engage the rest of the class? How does technology help us to reach everyone? Who is education for in your class and what does it look like? 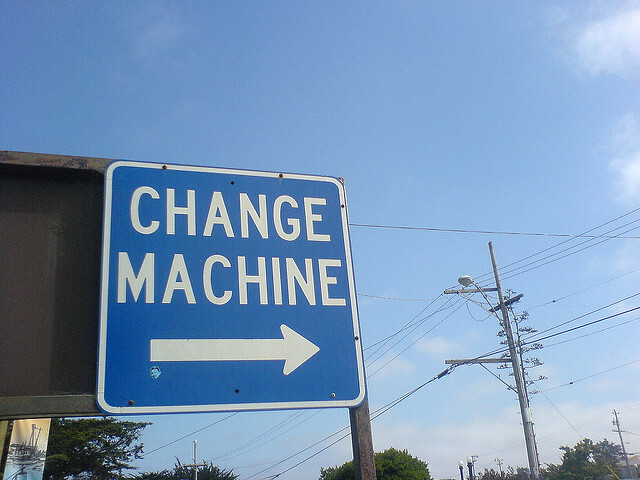 Change thinking, change learning, change working. Have a look at the NoTosh website to dive in and find out more. Ewan also lead the group through the ‘Design Sprint’ exercise later in the day. As ECIS moves forward they are keen to change the way this conference looks. They are keenly aware that the standard giant conference model isn’t working and looking for new ideas and new thinking around what conferences should be and how every attendee can get more out of the conference. 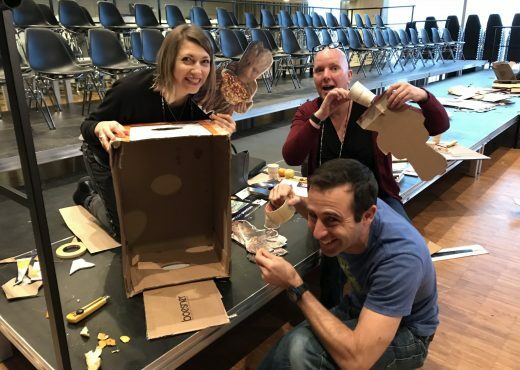 The design sprint activity got everyone actively engaged in rethinking what we want from conferences and why it hasn’t always worked in the past. Big conferences can be like a taster menu where you walk away not quite full but having sampled lots of ideas. Most people agreed that they want a richer, deeper experience. They want to make connections that last longer than two days and come away with actionable items and goals as well as a support network to help make them happen. There was certainly consensus in the room about wanting to make change happen in our classrooms and schools but feeling the excitement of the conference wears off as soon as we step foot on campus again. What kind of professional development models could help support real change? That is the question. I am the facilitator of our ‘Digital Leaders’ group. We are a group of volunteers representing various grades and departments who are willing to take risks, try new technology, model good practice, share our learning and help our colleagues to join us in using technology to amplify learning. We meet monthly and I look forward to every meeting. 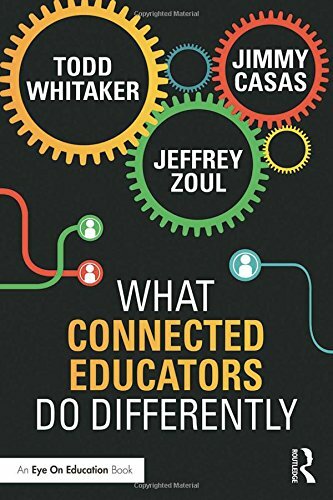 As a group we are reading What Connected Educators do Differently by Todd Whitaker, Jeffrey Zoul and Jimmy Cassas. I spent ages trying to choose a book for us to read together. I’ve been very pleased with the choice so far. Our group discussed how Twitter has changed us as educators. We talked as well about feeling overwhelmed by Twitter–there’s just too much good stuff. How do we balance it all? How do we not get sucked into too many ideas and focus on finding just what we need? It’s so easy to get distracted. Imagine how our students feel? We talked about how to introduce Twitter to our colleagues who aren’t using it. Our conclusion at the end was to agree to use our #BISLearns as much as we can and to highlight and celebrate those moments in our weekly staff meetings. This will give the reluctant teachers on staff a way to see Twitter being used and encourage them to have a look and maybe have a go. I’ve added the #BISLearns feed to the intranet home page for Primary School so families start seeing it as well. We’ve also agreed to use our shared Documenting Learning blog to highlight the good things we find on Twitter to again model and share it with our colleagues. I love this group of teachers and I especially love the professional dialogue we have in our meetings. Even though we meet in the last period of the day, we walk away with new ideas and shared momentum. Work with the willing and reap the rewards!